The iOS 11 Electra jailbreak is finally receiving an update to include Cydia, after news of ongoing development in the last few weeks. 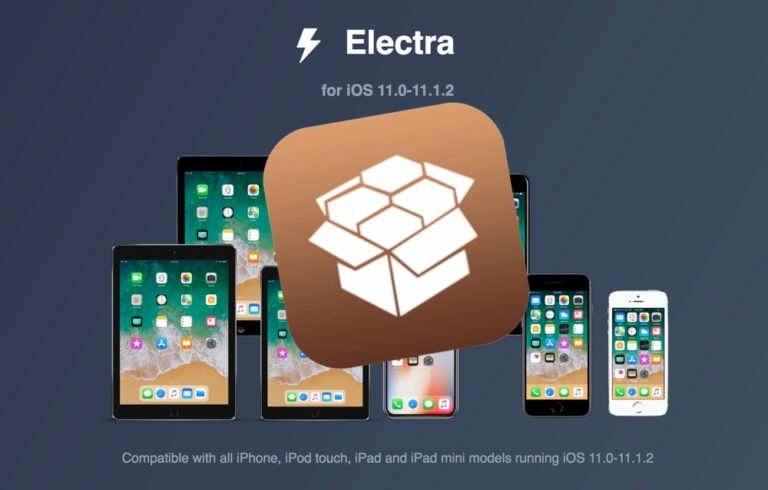 The iOS 11 Electra jailbreak is the current go-to for many when it comes to jailbreaking iOS, and it appears as if those looking to unlock their phones may now have another reason to go with the Electra option. Cydia, a popular alternative launcher for iOS devices, has now been ported over to iOS 11 by developer CoolStar and his collaborators. While CoolStar is the developer of the iOS 11 Electra jailbreak, he is not the developer behind Cydia. However, with the Cydia dev dragging his feet when it came to bringing the launcher to the latest iOS operating system, CoolStar took the project into his own hands and has released his own version of the Cydia launcher optimized for his iOS 11 Electra jailbreak. The successful update was confirmed in a recent tweet by the developer. Got our patched Cydia ready to go. Just need to add metadata for APT & DPKG and we’ll be able to build the bootstrap to test! The tweet from CoolStar seems to suggest that all the Cydia dependencies have now been resolved and implemented to be compatible with iOS 11. Previously, the lack of compatibility with these dependencies had been the main reason that Cydia development – and the update for the iOS 11 Electra jailbreak – had been held back for so long. CoolStar and his team had been working tirelessly to implement support for GPG, DPKG, and APT when running iOS 11, and this is good news both for his team and the droves of iPhone jailbreakers who have been waiting for this update to the Electra iOS 11 jailbreak in order to fully unlock their phones. Those interested in downloading the Electra jailbreak will now be able to get their hands on beta 10 of the app and IPA file, although currently it only has support for Substitute (an alternative to Cydia Substrate that was developed by Comex.) There’s no Cydia Installer support yet, but considering CoolStar’s recent tweet, it won’t be too long until we have a more fully-featured version of the iOS 11 Electra jailbreak. The jailbreaking community has seen incredible progress towards the iOS jailbreak in the past few months, with the majority of the work being launched into action by Ian Beer’s exploit discovery back in late 2017. For quite some time, modern operating systems were without a jailbreak, and it was only in the past few weeks that we saw a full jailbreak for iOS 11. Due to Apple’s increased security on their operating system combined with a lot of the features iOS was previously missing finally being implemented, the demand for a fully-unlocked phone has generally decreased. Add to that the shuttering of app repositories such as ModMyi, and it’s easy to see how the future of the iPhone jailbreak might not be as bright as it was previously. However, this upcoming update to the iOS 11 Electra jailbreak may make it easier for users to enjoy a jailbroken phone more conveniently. A recent leak of the iBoot iPhone source code may also push progress even further, although the code has now been removed from GitHub after a takedown notice was issued by Apple. Overall, it seems as if the jailbreaking community has a renewed commitment to cracking Apple’s increasingly secure operating system. As such, it’s likely we’ll see faster jailbreaks for upcoming operating systems without the long gap we endured while waiting for an iOS 11 jailbreak.